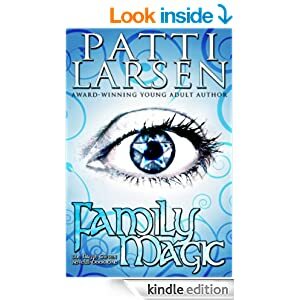 Family Magic is now permanently FREE! Her mom’s a witch. Her dad’s a demon. And she just wants to be ordinary. 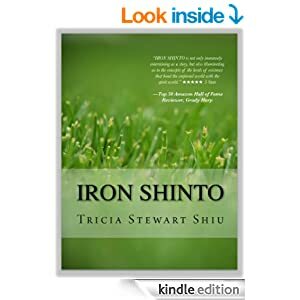 “Iron Shinto” has earned numerous awards and honors at several national and international book festivals including ‘Runner Up’ at The Great Southeast Book Festival, ‘Honorable Mention’ in both The Los Angeles Book Festival in the Young Adult category and in Portland Oregon’s Great Northwest Book Festival. In the third book of the Moa Series, Hillary, her sister, Molly, and niece, Heidi, have each lost themselves literally. After saving the Hawaiian Islands with Moa and discovering the Statue of Ku in Egypt, a malevolent force has separated them from their physical bodies, transporting them to an ethereal location, one in which a thought can be manifested in an instant and all actions are illusory. In this timeless space, they will lose themselves, find themselves and, in the process discover a universal secret of immortality. Midway through their first summer together, they celebrate the Fourth of July twice in one year. As they try to figure out the mystery of Emma’s disappearance, they bump in some famous people and experience several historical events. But ultimately, it’s their trust in each other and the friendship that has been forged by two unique experiences no one else on the planet has ever done…talk with dead people and time travel to the past. Their first trip back to 1966 had stopped the murder of a teenager from their school. Their next trip to 1980 had tested their courage as they were brought face-to-face with a man who was determined to murder an entire family. Their last trip to 1927 had saved the life of a handsome young man who had run away to a traveling circus. 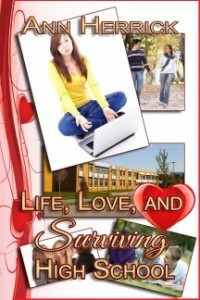 Zoey, the former mean girl of South Beach High School, suffered her first heartbreak by falling in love with a man from the wrong century. Summer fun is coming! And other than turning thirteen, twins, Meghan and Colin Jacoby, are looking forward to a typical summer… well, typical for them. Which means their uncle (and guardian) will pull into the Cobbscott Campground and park his travel trailer for three full months. Normally, they’d never spend more than a couple weeks in any one place, their uncle preferring to move around. But only until summer when they’d be Cobbscott bound. Their only concern being that their friend Sebastien would be in Cobbscott as well… the one person who also happens to know their secret- that they can read each other’s minds. The twins always wondered who reserved and never used these campsites and now that they have seen the owners, the twins can’t help but get an ominous feeling. 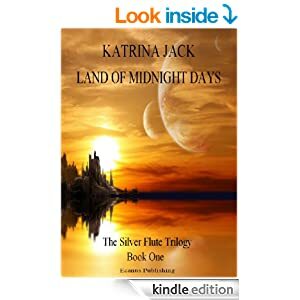 Soon-to-be twelve year old Miranda Moon’s overactive imagination has landed her in trouble again. This time, she’s been suspended from school. Since her Halloween weekend just got extended, her parents decide to take her and her straight-laced younger brother, Marcus, to her late grandparents’ old cabin. That suits Miranda just fine. She’s always felt there was something special about the place. Besides, she has a knack for making the best of things. But when Miranda finds a curious water globe hidden in the cabin, she and Marcus are catapulted into a world even she never imagined. A world where everybody already knows their family name and magic flows through the trees. A world called Wunderwood. But their arrival happens to coincide with the release of a sinister warlock from a forty-year imprisonment. Thornton Crow resumes his deadly agenda to find the source of Wunderwood’s magical power, the Tree of Mindala, and seize it for his own. 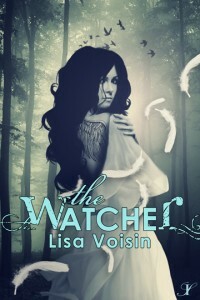 As Miranda learns of her own connection to Thornton, she realizes that it’s up to her to end his cruel and relentless cycle of death that would steal not just magic, but also hope. With only the cryptic words of a prophecy to guide her, she holds the fate of the entire realm as well as the safety of Marcus and the newly found branches of her family tree in her hands. Miranda’s signature optimism is put to the ultimate test when she chooses to carry out the task that will save Wunderwood… or doom it forever. Beth Shipman has been in a coma for two years. Now sixteen, her friends have abandoned her, and her mother is slowly going insane. Only one person remains interested in her — Carl, the young man who fell in love with her on the first day of Sixth Grade. He visits two or three times a week, talking to her and hoping she will wake. Carl may just be the key to breaking the spell that holds Beth in its grip. Her mother has a desperate plan to free her Pretty Princess from eternal slumber, but it won’t be easy. 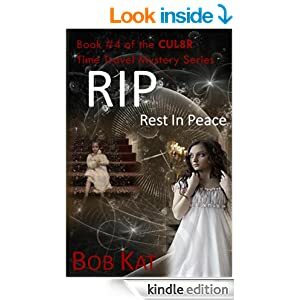 Carl must overcome his doubts and believe in the power of love, and Beth’s father Rex isn’t interested in her waking up. After all, he’s the one who put her to sleep in the first place. Can True Love’s First Kiss really break the curse, or are darkness, insanity, and self-doubt too strong? “Sleeping Beauty” is a creepy reimagining of a familiar story that explores what happens when parents go too far to protect their children. A cautionary tale, it reminds us there is a fine line between love and obsession, between care and cruelty. In the meantime, he lives in Lawrence KS with his girlfriend, her children and dog, and his cat. 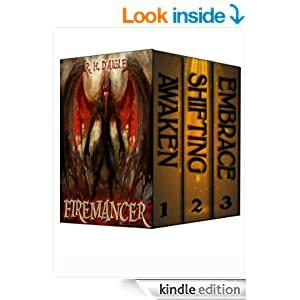 His current projects include the next novel in the Wolf Dasher series, world peace, and desperately wishing for the Cincinnati Bengals to win a Super Bowl before he dies.